Most people wouldn’t think twice about throwing away 58 cents. But what if those pennies were lives? How significant would it be then? That’s how many people died on Oct. 1 in the Las Vegas mass shooting. As a Las Vegas native, the shooting hit home. But even I didn’t realize how significant the number 58 was until I made my way back home and visited the Las Vegas Community Healing Garden. The garden was made by the Vegas community in order to take the focus away from the man who committed the murders and put the focus on the victims. 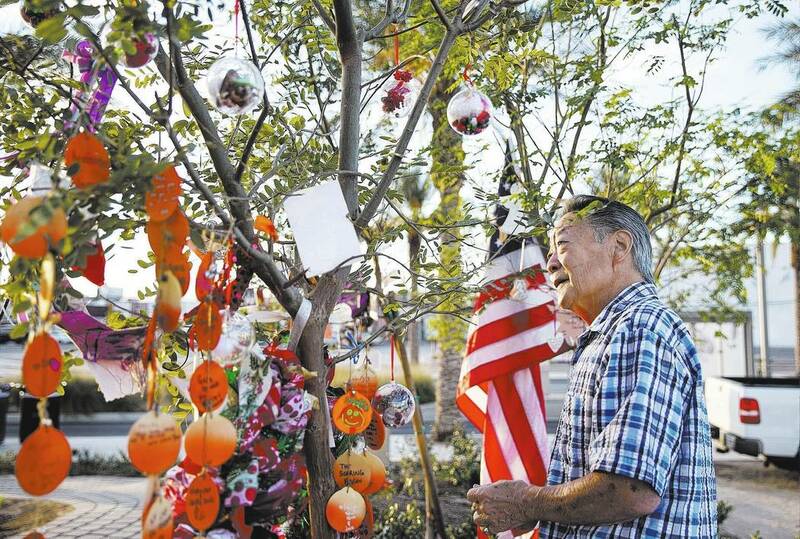 It was put together on a street corner in downtown Las Vegas by volunteers. It consists of a remembrance wall on which people may put pictures and notes to the community. It also includes 58 trees, which represents each person who died in this horrific event. Each of the trees has a picture of the person who died and rock around the base. The atmosphere is indescribable. As you stand there, you see the trees, the notes, the wall and the people there with you and you can’t help but feel lucky to be alive. Everybody at the garden is silent, as if talking is rude because these people can’t talk anymore. I looked at their pictures and wondered what it would be like to be in their place, at the concert that night, just trying to enjoy the music and then experiencing the shots firing down on you. As I got on the bus to go back home, I just looked around and realized that at any time something bad could happen. We have no control over it. It made me even more thankful to be able to be with my family on Thanksgiving because some families don’t have that luxury anymore — 58 isn’t just a number to them. It shouldn’t be just a number to anyone anymore.